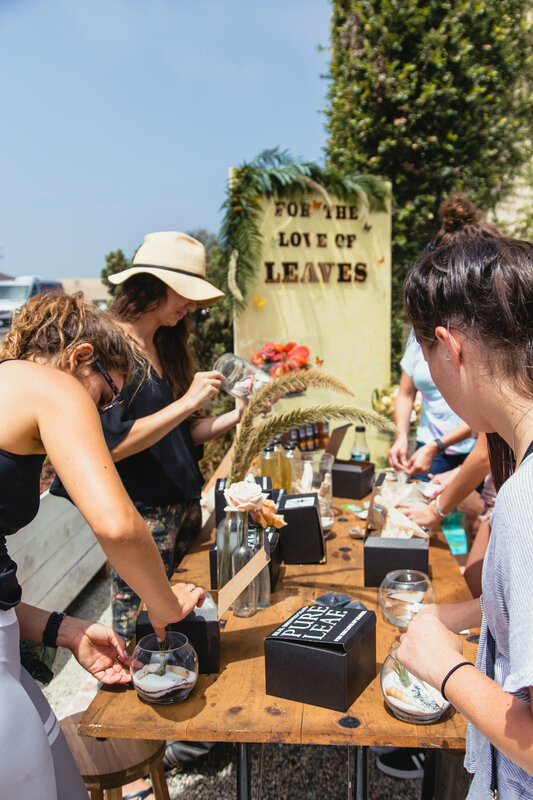 Recap of our August Pop Up Market! Such a special day! 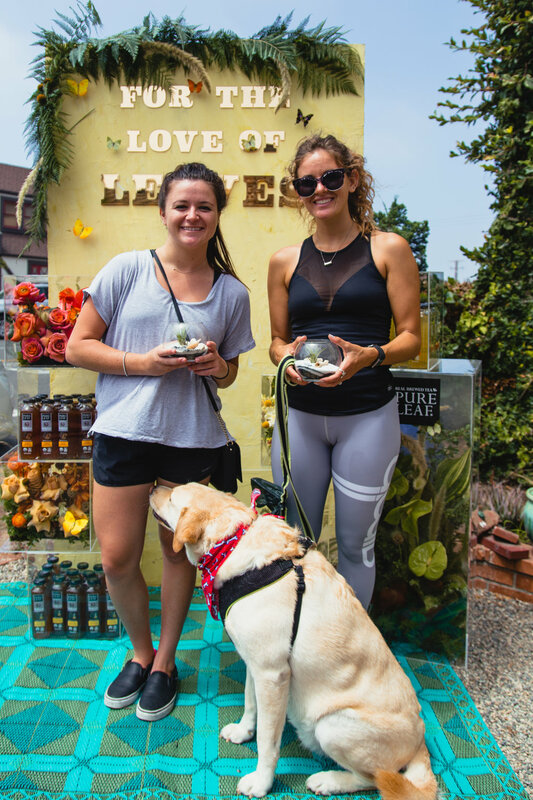 Our front yard was transformed into a fun DIY Terrarium station where guests were able to make their own FREE terrariums sponsored by Pure Leaf Tea complete with beach inspired adornments like seashells and coral pieces collected from over time at our beach. 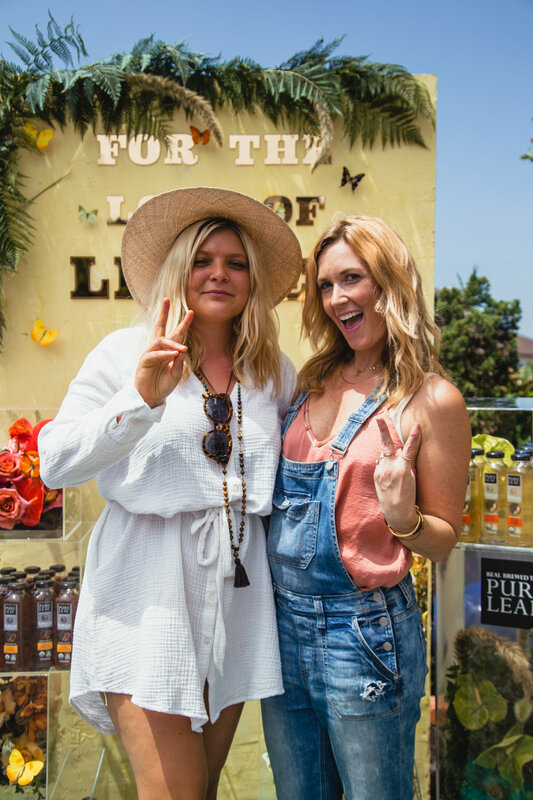 Our friend Forrest & J and Seventh Bixel created a stellar photo wall that served as the backdrop to our event. Guests took photos with one another, there terrarium creations, and marveled at the floral cubes designed by Penelope Pots Floral Design. 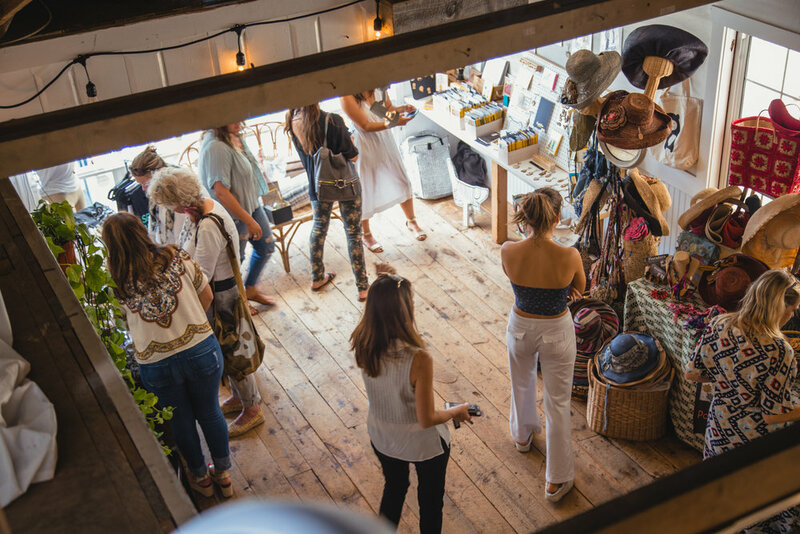 Vendors included greeting cards and paper goods by Desiree B of I Must Draw, Laguna Beach's beloved candle maker Robert Brink of The Hundredth Acre, see the hat maker Debbie Lawrence of Floradora in action, got styled by Ronnie M Jewelry, and enjoyed a curated offering of The Garage Collective with special pieces from Peruvian designer Presentyln. Officemates Freeman's Collective set up shop and transformed their office space into pop up shop highlighting their leather goods, California crafted threads & a new line of handmade rings by Spencer Berkeley. 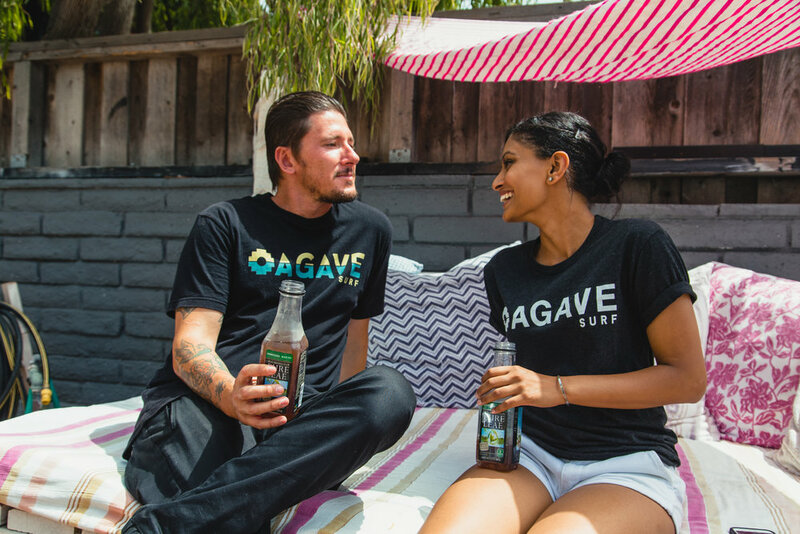 Ian Bryan of Agave Surf talked shoppers through their sustainable surfboards startup built right here out of SOURCED. Ali Rybczyk, officemate and resident artist set up a custom denim bar taking custom orders for painted vintage Levi jeans. And let's not forget about the empanadas. We had enough delicious empanadas from our neighbors Sergio's Empanadas to feed a small army and that's exactly what we did! Needless to say, we pretty much had the best day ever. This video shot by Ali on her phone sums it up & paints the perfect color of nostalgia that we feel after these events. Looking forward to our next Pop Up on Saturday, September 16th and the fun it will bring! Hope you'll join us.